American Heritage Girls | Patti's Page: Blog Contest for AHG Birthday Week - How Have You Grown through Your Involvement with AHG? Blog Contest for AHG Birthday Week - How Have You Grown through Your Involvement with AHG? I am so very excited about this Birthday Week. It has been a real time of celebrating, sharing and building community! Facebook Fans have grown dramatically and over 5000 people have read the blog! Today's contest is very important as it involves our amazing volunteers who serve without compensation while investing in our nation's daughters. As a thank you, AHG is tickled to give our biggest prize to date, a tuition to Philmont Scout Ranch in Cimmarron, New Mexico during AHG week August 6-11, 2012! This prize is valued at $450. Philmont is incredibly beautiful and the spirit of friendship and community is God ordained. I was blessed to visit this past July and must say Philmont is at the top of my list of beautiful life experiences. 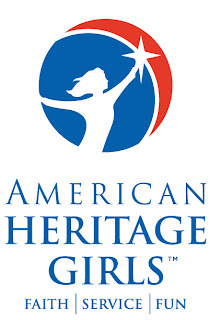 I will never forget the day my husband called to tell me about American Heritage Girls. In 2006 I was coming to the end of my MOPS (mothers of preschoolers) ministry time. My daughters’ weren’t preschoolers anymore. They had entered the big world of elementary school. The safe haven of my nest had been forever changed. Outside influences, new friends, after school activities and the big H … “Homework” became a new season in our lives. I had poured myself into leading and ministering to moms who deeply desired more than changing dirty diapers and folding laundry. As you know the tasks evolve. The diapers have been replaced by dirty soccer uniforms and horse boots, and the laundry just keeps piling up. My Eagle Scout husband’s voice was serious and sought answers. (Yes, once an Eagle Scout, always an Eagle Scout) “Quick! Turn the radio on and listen to the conversation!” A woman by the name of Patti Garibay was speaking about a new program for our nation’s daughters. Little did I know that the word “daughter” included myself. My husband heard Patti say American Heritage Girls provided a place to grow our daughter faith, instill in them a value for service, all within an atmosphere of fun. Three simple words caught my attention. Three powerful words now bring focus to me, my family and my Troop … FAITH. SERVICE. FUN. “How do I answer the Biblical call to “Defend the poor and fatherless; Do justice to the afflicted and needy. Deliver the poor and needy; free them from the hand of the wicked.” Psalm 82:3-4 … Service was the answer. I moved from a place of serving as an activity, to serving as a way of life. Service is who I am, not what I do. Amen? Amen! “How can I teach my daughters important life skills, patriotism and love for nature?” … Fun was the answer. I’ve become a better cook, a better citizen and a more informed outdoor enthusiast. Did I say AHG is for my daughters? Oh, yeah, they get to come and play too! Most activities are “drop-off” programs such as soccer and piano. But AHG is a place to grow with my daughters. So, now I ask you … How has AHG changed you? How has your level of faith increased? How has your level of compassion expanded? And how has your willingness to have fun with your daughters grown? I am forever grateful for that radio show and for Patti Garibay’s passion for those three simple words. Faith. Service. Fun. Share your journey with Patti. How has being involved in AHG helped you grow? Share your stories of growth and learning in the comment section of this Blog to be registered in today's birthday celebration contest. One winner will be chosen to receive a week at Philmont Scout Ranch during AHG week August 6-11. Philmont is the Boy Scouts of America's largest national high-adventure base. its 34 staffed camps and 55 trail camps provide an unforgettable adventure in the high cournty along hundreds of miles of rugged rocky trails. This year AHG is honored to host a course for the first time at Philmont. The winner will have the opportunity to take part in a number of wonderful trainings at the state of the art Philmont Training Center as well as enjoy the beauty and adventure of the Ranch. winner will be announced the week of September 19th. Must be a currently registered AHG Adult Member to win. Wow, where do I begin to explain how much AHG has helped me to grow personally?! I recently became a Trailblazer Support Coordinator, and it has been such a faith-changer to see how God brings contacts into my life to help other Trailblazers! For example, a friend of mine from Kansas moved to Alaska a couple of years ago and participated in a troop in Wasilla. Recently, one of my families from Alaska was looking for a troop to participate with in special events, and she told me that she travels to Wasilla from time-to-time. Red lights began going off in my mind! So, I contacted my friend in Wasilla to get more information about her troop to share with this Trailblazer family. Only God could make this connection from a country girl in Kansas trying to help a family in Alaska! That is only one of many such stories. God is so good, and always gives us just what we need. AHG has also opened me up to trying new things with my girls. This summer we all tried things I never thought I would try or enjoy like rifle shooting, archery, and fishing. Now these activities are things that we as a family enjoy, and those kind of experiences really enrich our relationships and memories. So, thank you, AHG! This ministry is truly making a difference in the lives of the girls and of the leaders! I have been a leader with American Heritage Girls for three years, and am just starting my fourth year. I have had the best time working with the girls and my daughter, and helping them on their journey, not just in faith, but in becoming young women of integrity. It always amazes me how caring they are when new girls come to join our unit. We started with around 8-10 girls, and though we add and subtract girls each year, they never make anyone feel left out or excluded. This always seems amazing to me. When I volunteer at school, it always seems like there are kids that are made to feel excluded. It is my hope that though American Heritage Girls, these girls will be the ones to be the friend to that child at school who always feels left out. My daughter and I have always had so much fun with American Heritage Girls. She is determined to earn her Stars and Stripes (she's just in 5th grade), so it looks like we are in it for the long haul - and that's a GREAT thing! I have known about AHG since 2006. I loved the mission, the ability to be blatantly Christian within a youth development program. I checked the website often hoping that a new troop would form in my area. In 2008, I joined my husband as a scouter, an adult member of the Boy Scouts of America in order to support our oldest son's Cub Scout Pack. During the summer of 2010, the Doctor said to me, "It a girl!". The good doctor repeated this announcement three times. I was in shock, listening to a call on my heart. Had our fifth child been a future Eagle Scout, I'm pretty sure I wouldn't have become a Troop Coordinator. Last year, my mother, my three daughters and I traveled to the nearest AHG Troop meeting, 65 miles away. During this year, we enjoyed the fruits of others' labors. We experienced a year of troop meetings and events, even summer camps. I was mentored by a wonderful group of leaders. This year, we are starting a new troop closer to home. So far, my involvement with AHG has been growing my faith because outside of motherhood, I have never felt a calling, nor worked it out through faith. It has taught be more about patience and perseverance. I have a greater respect for those who built a trail where there wasn't one before. (Technically, It's the "Philmont Training Center, (PTC)" that will be hosting an AHG Session next summer and as a dual-uniformed mother(BSA-AHG), I am PUMPED about that! 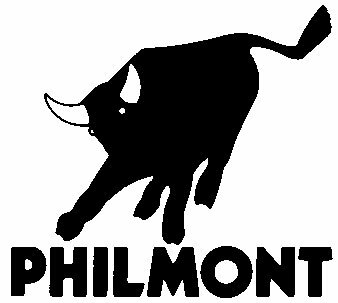 Among scouters there is a distinction made between "going to Philmont", meaning you went on a trek into the back-country, and attending PTC. Both are very highly regarded. Since I have just started my journey with AHG, after being a Girl Scout leader for 4 years, I'm not sure I'm really eligible for this contest. However, as a cub scout and boy scout leader for 7 years now, I'm very excited about the opportunities my daughter is going to have with AHG. I just want to say to all of you.... go to Philmont Training Center!!!! I was on the program staff of PTC for 2 summers during college. I attended a backcountry trek with the Boy Scout Explorer program prior to that. I have also attended several training sessions at PTC as a boy scout leader. Philmont is an amazing place. You will learn so much there, about scouting and about yourself. AND take your family with you to PTC. The youth and spouse programs are wonderful. Both my children want to "go back to Philmont". Where to begin? For the past Nine years American Heritage Girls has been in our family. My daughter joined in Kindergarten and the following year when we participated in the God and Me program, I saw the light go off. She recognized she needed a Savior and she asked me to pray with her. This is the most treasured experience and memory. The four years she was involved with her Tenderheart squad, we had five special friends that were together the whole time. My second favorite memory is watching these young hearts grow. Their Third grade year they were leading each other in devotions over the creed, memorizing verses and praying for one another. Watching these tenderhearts grow in their love for Jesus and eachother was breath taking. My most recent precious memory was from this years Louisville Summer camp. A sweet Patriot wanted to overcome her shyness and make more friends. And she did just that. Seeing her confidence shoot up at camp and hearing her updates since school started just makes me smile. I love American Heritage Girls and so does my daughter. Seeing her Leadership skills bloom these past three years has been amazing. Who would of thought that little shy Rachel would be the one leading the girls on overcoming their low rope obstacle challenge and build up the crew. I am looking forward to our Northern Tier Trip June 2012. I know that will be another AHG Milestone to treasure. When my daughter and I, branched out of our Large troop to start a new troop we had another experience and learning curve. Our faith grew through our service to the families, community and our patriotic involvement like Flags for Vets and mailing packages to Soldiers oversea. All the while we had a ton of fun. So the tag line speaks for itself. I learned a lot about myself as a leader. Now as the area MEL I enjoy nurturing/helping new troops to form. It has been an incredible journey watching it grow here in Louisville. Seeing excited parents for our program is AWESOME! We are looking forward to what the next 10 years will bring to our family! Thank you Patti and all those who came around that kitchen table 15 years ago with a mission and a vision for young girls to become women of integrity! "Our first year of AHG has certainly been one of growth in faith, service, and fun!! At the beginning, a parent needed to stay with each girl because we were still completing additional training required by our church. This turned out to be a real blessing. The families got to know each other and have become a real community. Now as we add families, that culture is already well established. Faith - For me the highlight of the past year has been attending Mass as a group! Scout Sunday and Monday's Welcome Mass for our new Archbishop were absolutely wonderful. Our usually very active Girls and Cubs, are reverent little angels! They even waited almost 40 minutes at the reception for a picture with the Archbishop! Service - I see God's light shine as the girls cheerfully perform acts of service. I watch them as they interact with children, the elderly, and those less fortunate and are just so pleased to be of assistance. And of course - Fun with my daughter! Our girls and Cubs would laugh at this, because my daughter is one of our leaders. Fun is watching families grow in the program and grow in our Parish community - from the little sisters & brothers, the Girls & Cubs, the big brothers & sisters who volunteer to help, the parents, and the grandparents who attend our events. Now that is fun!!" If you are having trouble posting, email your entry to execsupport@ahgonline.org and we will post for you. "We absolutely love AHG and feel that God lead us to this organization. I had been discussing with my husband wanting our girls to have something similiar to Cub Scouts, but didn't want Girl Scouts. I was searching some homeschool stuff online and at the bottom of an Old Schoolhouse article I saw a little spot on AHG and clicked on it. I felt immediately that God had answered our prayers. My oldest daughter was able to start as a Pathfinder and is now in her third year as tenderheart. We have 2 other girls (tenderheart and pathfinder) involved this year as well with two more that will be joining the following two consecutive years. I have seen my girls grow so much in their confidence and ability to try new things. Honestly, I have done so much with them I might not have otherwise done or thought of. We are looking forward to our first troop campout this weekend to celebrate AHG's Sweet 16. I have watched my girls grow as they make friends and interact with people from all different backgrounds. I, myself, have made some incredible friends with Godly woman I wouldn't have otherwise known and learned so much from the girls I am blessed to lead. I leave every meeting with a smile and blown away with the character of these young ladies. They accept everyone in as a long lost friend immediately regardless of how they look, act, or what their background might be. They laugh, encourage, and pray for each other. I am so much richer for knowing each one of them. Thank you for giving me an opportunity to serve as a leader. It has so blessed my life and I hope that I am being used in the lives of these girls. I feel so priviledge to be able to pray for these fine ladies each week and to watch them grow in stature. Even though I might not know all the right words to explain what I have gained, I know that my life has been changed and enhanced in countless ways through AHG. What a journey it has been! It started with my daughter who a few years ago could not figure out why she could not be a Cub Scout; we had been involved in Boy Scouts since before she was born! I started to look at the alternatives. GS was out since it was not the organization I was in as a girl. Camp Fire had also changed too much and wasn’t even in our area. 4-H? Well there is no real Scouting influence there. Then I did a Google search and found AHG. Little did I know at the same moment a good friend of mine was doing the same thing (chills) and we talked and determined this was what God wanted us to pursue. Our church was out as a Charter since they are soooo busy there is no way we could even get a room on a consistent basis so we approached another church in the area that I knew the Pastor of. It was a match and off we went, recruiting and more recruiting and sadly my friend moved to Oregon and I found myself alone. But not alone, God has been with me throughout the process. And it is a good thing! This was no smooth process for us. Clearly our little Troop is destined for some great things based on the opposition in the odds we have experienced. I have been learning a lesson the whole time that this is in God’s hands not mine and it is HIS timing, not mine, says immediate girl. ;) He has taught me I need to be patient and learn new things and know that HE is in control. Four years ago when I was just starting on the scouting journey with my Tiger Cub son, I heard a mom at a school meeting mention American Heritage Girls. I went home and googled AHG; It was love at first site. There was one problem, though. Not a single troop existed in Nashville. In fact, the closest troop was over an hour away. My oldest daughter had a year before she started Kindergarten, so I just knew I had enough time to get one started. I contacted AHG for more information. I pored over the documents and prayed about starting a troop. I knew that I did not have the organizational gifts necessary to start a troop, but I also knew that I would make an excellent “cheerleading” partner to someone who did. Needless to say, my vision of getting a troop started in a year did not happen. Everywhere I turned I hit a roadblock, and I just didn’t understand. I knew that God had put AHG on my heart, so why was nothing happening? Over the next three years, AHG kept coming up. Every time I would think that AHG was just not part of the plan God had for my daughters, I would hear Dr. Dobson mention AHG on his program, or hear Patti Garabay interviewed on the radio. More than once I wondered why God kept allowing me to hear about this fabulous organization that I desired so much for my daughters, if they could never be a part of it. Then at the end of last summer – out of the blue – my friend Amy stopped me at church. She and I had discussed AHG several times over the years. She told me that the youth minister had asked her to start an AHG troop at our church. Amy, who has all the organizational gifts that I lack, had agreed to take it on, but she told me she needed me to help. I was thrilled, but I was also overcommitted and overwhelmed starting my first year of homeschooling my children. I wasn’t sure I could do it, but I felt God telling me that He was giving me the desire of my heart, and I just had to trust Him that it would all work out. It took until the spring for our troop to get up and running. Just before we had our first meeting, we found out that AHG planned to run an advertising campaign in Nashville. We were excited, but we were also afraid hundreds of girls would show up to join our troop! The ad campaign led to an informational meeting at our church, which turned into a celebration concert with Jaci Velasquez and an informational meeting with Patti Garabay. It was an amazing night, but it was also a humbling night. I saw God’s plans for AHG in Nashville literally spread out before me in the groups of parents who were meeting together to talk about getting troops started in their part of the city. His plans were so much bigger than my original plan of one troop for my daughters. I knew that God wasn’t just answering my prayers, He was answering the prayers of many, many others as well. My short time as a leader in AHG has reminded me to wait upon the Lord, because his plans are so much better than ours. I am blessed to be a part of this amazing group and can’t wait to see what else God has in store for AHG. This has been an exciting to week for AHG and for me to look back on all the memories that have been created in my life because of the relationships and events in AHG. It is always fun to look at photo albums and see how everyone has changed but it is even more fun to look at the girls lives you have touched and see how they have grown. Our troop began as a dream from a little girl who wanted to be in scouts like her brothers. Her mother heard a program on Focus on the Family about AHG and began her quest to start a troop in the area. She came to the Church staff at the Church I was attending to see what could be done. She was new there and was not yet a member of the Church. The staff told her to find another mom who would be interested in teaming up with her that was a member of the Church and they would see what could be done. She shared the dream with me. My daughter at the time was 4 about to turn 5. I prayed about it not having any interest in scouting but always wanting to do what GOD wants me to do. I later told her yes. That got us started seeing if there was an interest in the Church, only to put us on hold for me to adopt a new baby and her to find out her daughter had a brain tumor. A year and half went by when another mom came along with a Girl Scout background but wanting to get out of that and have her daughter in AHG. She too had heard the same radio program. She agreed to head up our troop if I could co-chair with her. I said yes and a month or so later we held our first meeting with that little girl who had a dream, being the first person to register. Little did we know that she would only be with us for 3 months before we would be doing our first public flag ceremony at her funeral. It was a real tough way to start our troop but GOD has seen us through many hurdles along the way and grown our faith in HIM. I have watched my faith grow in many ways in the past 8 years. We had our first girl graduate last year and another to graduate at the end of this year. I was their first leader as they started as Explorers our very first year as a troop. We started with teaching the Pray awards the very first year. I had never been around scouts so all of this was new for me and I was also a first year homeschooling mom. So it was a real challenge and a leap of faith. I decided though that this may be the only time some of these girls will hear the Gospel message so I put it out there on the line with them and covered everything in the GOD and Family book along with earning some badges at the same time. They taught me how to share my faith with others, be resourceful, prayerful and how to be flexible. I am not one to get up in front of groups of people and talk. But as the year went along I got a little bit more comfortable. Over the years I have had to learn many more things. I have held many positions in the troop all the way up to being a Coordinator. I am always willing to do what is needed so the girls can continue to learn and grow especially in their faith. My daughter is now a Pioneer and I am looking forward to her possibly being one of the first in our troop to get their Stars and Stripes. I guess I have more growing and learning to do as we have not yet accomplished this. I look forward to seeing what GOD will teach me next and the fun we will have in doing it. I also look forward to many more new friendships that will come because of AHG. Happy Birthday and many more. My journey with AHG has been a one of great change, emotion, growth and maturity! Several years ago, we heard about it, but our life at the time did not permit participation with my oldest daughter. However, summer of 2008, we were invited to join a start up troop in the Dallas/Fort Worth area. It was time! And we figured with 4 daughters joining the program, we were in it for the "long haul". Our oldest son had been a scout for several years and our girls longed for the same experiences he had enjoyed. That first year was one of learning AHG, the process, the logistics, etc. Then I was asked to be coordinator. My first reaction was "No way! I have 7 kids, a Pampered Chef business, we homeschool, .. there is NO WAY!!! Well, the Lord works in mysterious ways..over the course of several days, the idea grew own me and I truly caught the vision for being able to guide a program that could have a lifelong impact on girls' lives. I knew that I wanted to lead without dictating, to encourage participation by both girls and adults, to have a program that balanced the elements of leadership, teamwork, outdoors and Christian faith. So we began with lots of teamwork from our leadership team in planning the year to do things the girls wanted - it was a GREAT start!! In the fall, due to life happening on the home front, among which was pregnancy with baby #8, I stepped out of the leadership role for a time, but the Lord soon opened the door for us to plant a new troop. It was wonderful to be able to take the skills learned the first time around about communication of vision and truly impact the formation of the troop. It was a fantastic year even with its bumps of being a start up troop. We had a lot of fun! Even though we were a first year troop, we had several moms who also caught the vision for AHG being bigger than just our local troop. Together we planned and put together the first Summer Camp in the Texas/Oklahoma/Louisiana area. That concept of AHG Community is growing in our area with other new troops that are chartering and I am THOUROUGHLY enjoying being in the middle of what the Lord is doing. For our local troop this year, we have been working together to encourage and train our girls how to lead rather than the moms doing it for them and making all the decisions. Sometimes that is difficult for us moms to "let go" and let the girls make choices that may or may not be the best/wisest, but they also need to learn to consider the various details! It's all about trusting the Lord to work it all out. There have been times of GREAT frustrations when circumstances did not work out like I felt like they should. But in it, I've learned to forgive and move on, although I do enjoy the moments where I feel like "what the locusts have stolen" has been restored! This AHG adventure has been one of learning: more about outdoor skills for sure, but I've also learned more about leading people and dealing with conflict between team members (not always because I handled it all correctly from the outset); I've learned more about myself and that I have skills that I didn't know I had and I've learned more about how to bring different people together to accomplish a common purpose. 1) Communication is vital: communicating one's vision is so important to leading. No matter the size of the team or the scope of the vision, when your team shares the vision, then everyone works together to achieve the goals and great things can happen. 2) Trust the Lord: I've realized to a deeper extent that God can use whatever happens for HIS Glory when I give it to Him - whether or not actions of others were right, fair or just at the time! And even when I feel ill-equipped to do something, if I trust HIM, He will guide, direct and carry me through it and can make something wonderful out of my puny efforts. I often wonder how life would have been different had we started with AHG when we first heard of it. Or how would things be today had circumstances been different back in 2009? Then I remind myself that "a single thread in a tapestry.can never see its purpose in the pattern of the grand design!" And I know the Grand Designer and HE is putting together a Glorious thing, both in my life personally as well in American Heritage Girls! I am just grateful that He is constantly "growing" me (even when it is uncomfortable) and that He allowing me to be a part of what is He doing through the ministry of AHG! I hope that those lives I touch can be as blessed as mine has been and I can reflect HIS Glory! I have only known about AHG for about 6 years, and our troop is going into it's 5th year of existence. My daughter was in the first Pathfinder class, and I've gone from being in there with her, to Vice Coordinator for 2 years, and now Troop Coordinator. It's funny how God works, because I couldn't be very involved that first year, yet when I took on the VC role the second year, it felt perfectly right. So did moving up to TC. I struggle frequently with the challenges of the troop and the amount of work, but it's amazing how the grace of God has kept me grounded, and kept me loving AHG! In other "activities" I have not enjoyed the work at all and had no feeling that God had called me to that task. I have no doubt that He called me to this one and helps me to do all that needs to be done. It's my hope that this troop glorifies Him as He has given us all the graces needed to create a great group. I have been with Boy Scouts since I was a wee boy, loving it, and loving the growth I've gotten from it and from being an adult leader. Well as a father of 2 boys and 2 girls my daughters were always jealous of the boys and their programs and trips. We tried several other organizations, but couldn't find anything that quite fit with our family and we were unwilling to compromise in our values with some of the other organizations. In looking for a place to buy generic merit badges as I was going to create a program for my girls myself, I discovered the American Heritage Girls quite on accident. My wife and i lloked for a local troop but the closest one was over an hours drive away. We decided we would pursue becoming a family unit with AHG, but were wishing we could find a troop for our daughters to be able to be involved with other girls. We discussed AHG at a Boy Scout meeting and the next thing I knew I had a list of leaders telling me they would do whatever I asked of them if only I would start an AHG troop and agree to lead it. Although I am not a member of the charter church they heard of our need and jumped at the opportunity to be a blessing to the girls of the community. We have just begun the journey but we are so excited at the adventures to come!!!!!!!!!!!!!!!!! !